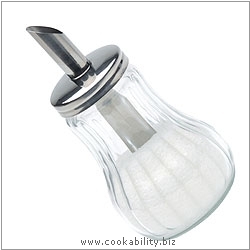 A retro style suger dispenser with stainless steel lid. The central tube fills with one measured shot of granulated sugar. Just tip the dispenser into the cup for a measured shot.